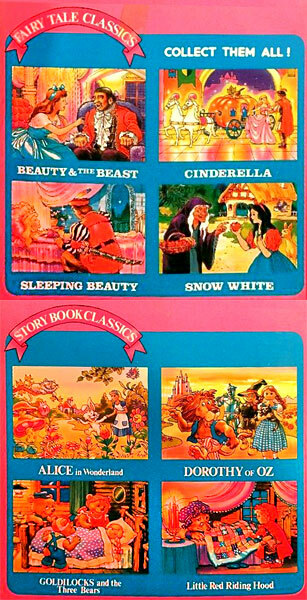 Story Book Treasures were produced by Toys 'n Things (aka Toy Things) in 1995. 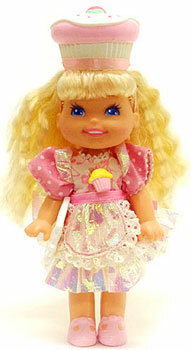 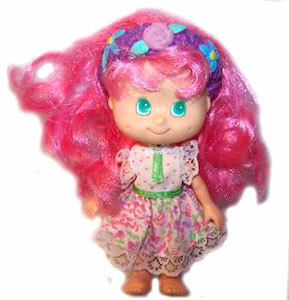 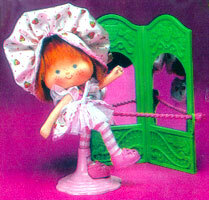 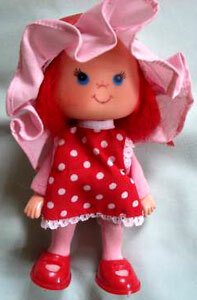 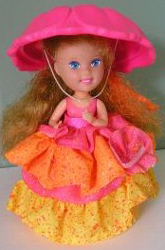 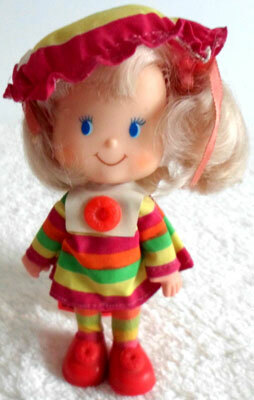 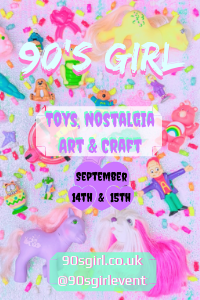 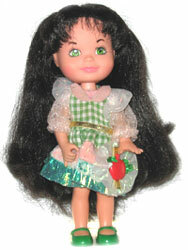 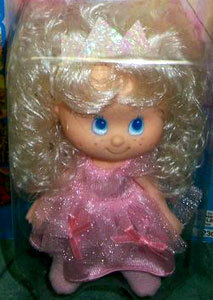 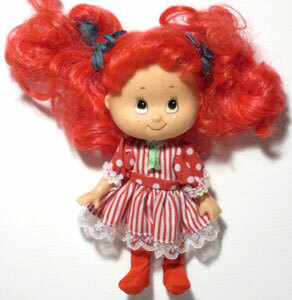 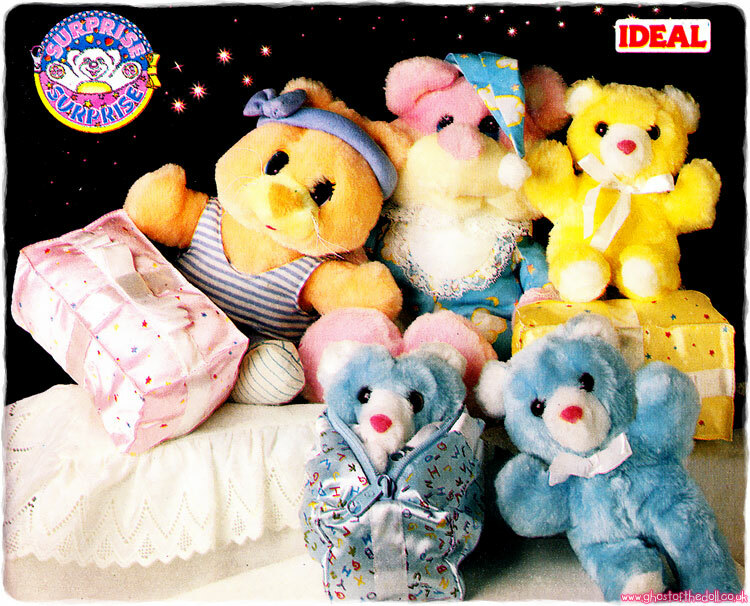 The company released several sets of scented (and non-scented) dolls from 1991 to 1995, when Strawberry Shortcake was re-issued, and then again in 2000. 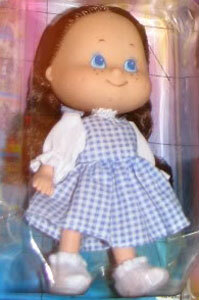 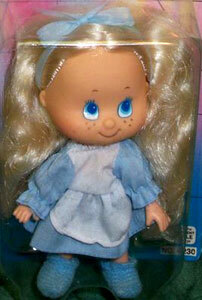 In fact, the dolls were so similar to SSC that they often get mistaken for them now. 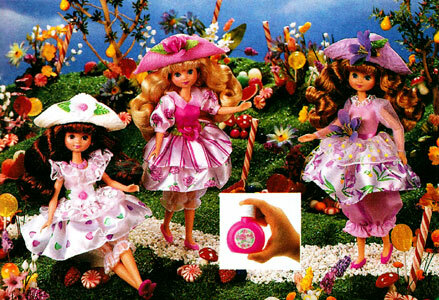 Images on this page thanks to eBay seller lavenderladee80 & cubbies1! 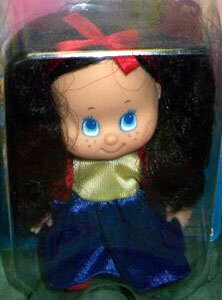 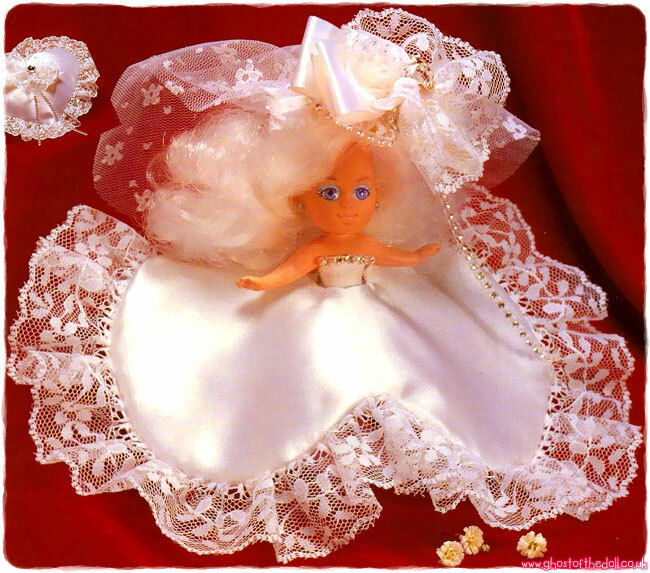 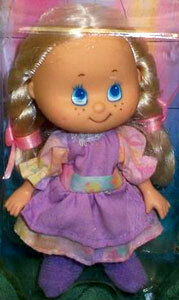 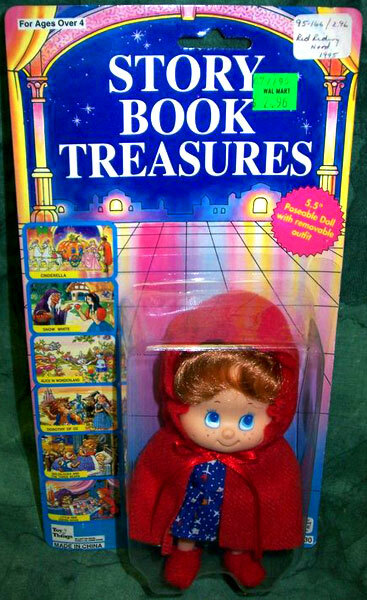 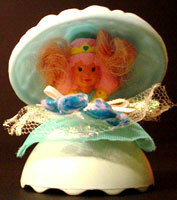 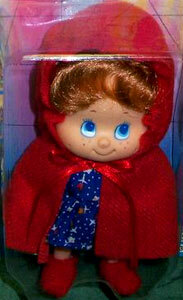 There were six Story Book Treasures dolls produced in 1995, each one based on a well known fairytale heronine. 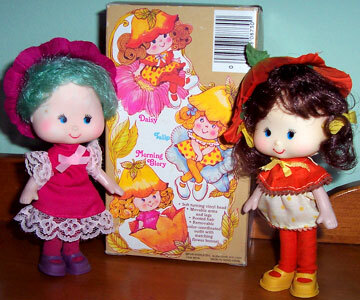 The packaging made use of previous illustrations found on TNT's "Story Book Classics" doll series, and some even used the same fabrics for their outits (as below).